I have always loved Valentine's Day. 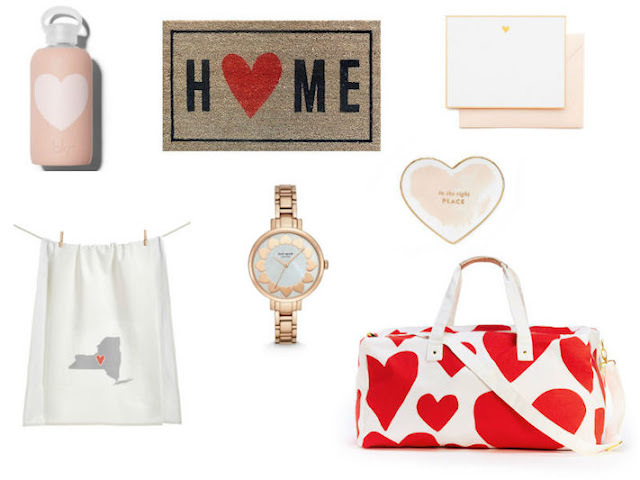 I'm not a big romantic and I don't even really like red roses; it's because I love holiday-themed candy and all things hearts (my daughter's wardrobe can testify to this). Here's a little round-up of some heart pieces that strike my fancy. Do you have big Valentine's plans? Caleb is a Valentine's baby, so it's a weekend of birthday + Valentine's plans for us. We tend to stay in rather than fight crowds, so we're excited for a weekend at home to celebrate.